This article is about the Canadian graphic artist. For the Australian recipient of the George Cross, see Hugh Syme (GC). Hugh Syme is a Canadian Juno Award-winning graphic artist and member of the Premier Artists Collection (PAC) who is best known for his artwork and cover concepts for rock and metal bands. He is also a musician and has appeared on some Rush songs as a keyboard player. Syme is notably responsible for all of Rush's album cover art since 1975's Caress of Steel as well as creating Rush's famous Starman logo. In 1983 he told Jeffrey Morgan that he never imagined the band would use it as their main logo. Syme also plays piano on the album Thrilling Women, which Morgan recorded with Dean Motter. His client base includes major record companies like Geffen Records, EMI Records, Mercury Records, RCA Records, Capitol Records, Sony Music, Atlantic Records, Warner Bros. Records and A&M Records. Iron Maiden fans remember him best as the designer of The X Factor cover, which shows the band's mascot Eddie dissected. It is remembered for its gritty realism. Whereas all previous Maiden albums were oil paintings, the X Factor Eddie was a puppet with some digital touch-ups to enhance its look. In some countries the cover was considered so gruesome that a less gory alternative was offered (the alternative cover is actually the back of the original CD booklet). Def Leppard's Retro Active album cover, which he co-designed with Nels Israelson, shows a lady sitting at a dressing table, looking in a mirror. From another perspective, it takes the form of a skull (a type of vanitas art), the woman's head forming the left eye socket, and her reflected head in the mirror forming the right eye socket. The mirror itself forms the shape of the skull and the accessories on the dressing table form the nose, nostrils and teeth. It was inspired by Charles Allan Gilbert's most famous work, All Is Vanity (1892). Other bands Syme has done artwork for include: Megadeth, Saga, Styx, Altered State, Fates Warning, Whitesnake, Queensrÿche, Aerosmith, and Dream Theater. Syme has three daughters who reside in New Castle, Indiana. Chronological list of Hugh Syme's album cover art (including studio, live, compilation and extended play LP's). 1980 Rush Permanent Waves Art direction and graphics. Cover concept created with Neil Peart. 1980 Toronto Lookin' for Trouble Graphics and design with Michael Gray. 1981 Rush Moving Pictures Art direction and graphics. Cover concept created with Deborah Samuel. 1994 Megadeth Youthanasia Design and digital illustration. Art direction with Tommy Steele. Syme has contributed as a musician with Ian Thomas Band, Rush and Tiles. Window Dressing - keyboards on "Slippers in the Snow"
Fly Paper - keyboards on "Crowded Emptiness" and solo piano on "Passing Notes"
Juno Awards: 5 wins and 18 nominations. ^ Morgan, Jeffrey. CREEM Magazine, 1983. ^ a b c d e f g h i j k l m n o p q r s t u v w x y z aa "Hugh Syme". Hugh Syme. Archived from the original on 2014-07-30. Retrieved 2014-07-23. ^ "SAGA: In transit ::". Saga-denmark.com. 1982-02-05. Archived from the original on 2014-07-26. Retrieved 2014-07-23. 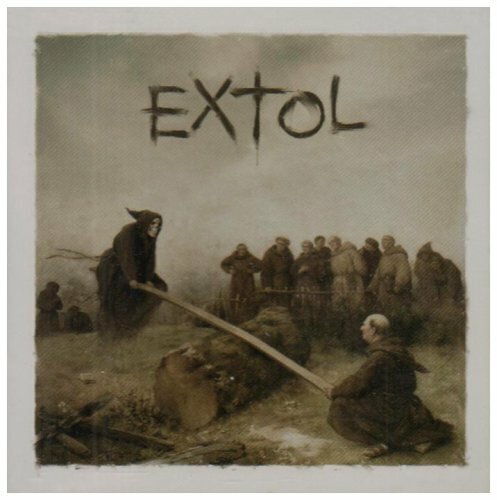 ^ "Extol cover". Ecx.images-amazon.com. Retrieved 2014-07-23. ^ "Mike Portnoy on Eddie Trunk Show". FileFront.com. 2009-03-17. Retrieved 2009-03-18. ^ "Radiant Records. Flying Colors - Second Nature". radiantrecords.com. Retrieved 2014-08-09. ^ "Official Site of Ian Thomas Band". Archived from the original on 2009-10-25. "The Larger Bowl (A Pantoum)"
This page was last edited on 27 February 2019, at 12:50 (UTC).